On 28 May 1934 the Dionne Quintuplets were born near Callendar, Ontario. I grew up knowing this. These five little girls were part of the world I grew up in – certainly my mother, who remembers little about the present, clearly remembers the Dionne Quintuplets. The author of The Quintland Sisters, Shelly Wood, knew nothing about this story until she came across a photograph of the Quintuplets in 100 photographs That Changed Canada - published in 2009. As my curmudgeonly husband often says, “It’s all new to the young people”. And, I expect there are a lot of young people who have never heard of the Dionne Quintuplets and know nothing of their story. So, good on Shelley Wood for writing this novel of historical fiction, with what seems to be a solid base in the truth of the time and situation. I almost reluctantly picked up The Quintland Sisters and was surprised at how quickly I found myself involved in the story. I knew a bit about the childhood of these children but this novel fills in the blanks with very real people who are well characterized and, I believe, based on solid research. The majority of the “characters” are real people – I recognized the name of the photographer, Fred Davis, but my recollection was of seeing him on Front Page Challenge. My parents watched it every week, and yes it is the same Fred Davis, who long before his stint on Front Page Challenge was a photographer for the Toronto Star, and the only official photographer of these famous children. It might seem hard, now, to believe that these children, and their family, lived they way they did. It was a different time, and it seems, at least in the beginning, that the efforts of Dr. Allan Dafoe were genuinely in the interests of keeping the babies alive. Theirs was the first known birth of quintuplets who lived. Born to a mother who already had five older children, into a family already living in poverty. The babies did live, all grew to adulthood and, in fact, two are still alive. It is also hard to imagine that the children were so completely isolated, together, and became a sort of side show, with spectators coming from all over the world to see them. By 1937 there were sometimes 15,000 people on a weekend to see the Quints. Hollywood films were made about them. They were constant monitored by nurses and doctors. And, there was controversy about their father and his demands. Something I knew nothing about until I read this novel. 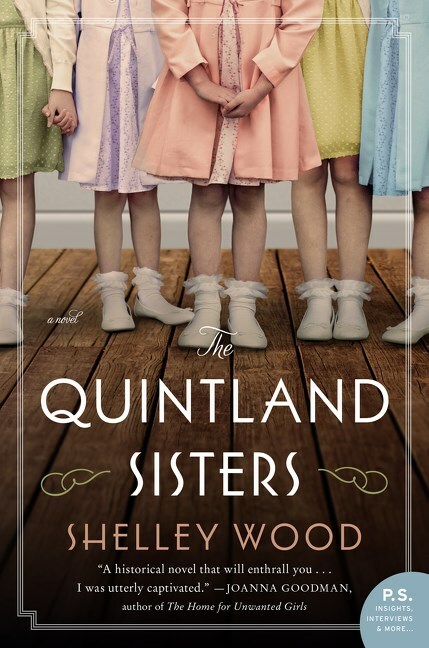 Shelley Wood has done an excellent job of portraying the world of the Dionne Quintuplets and has created a compelling fictional character who is dropped into the reality of those who were there, to provide another eye, another voice, another witness to what took place, and to what may, or may not, have taken place. I picked up an advance copy the novel We Must Be Brave by Frances Liardet thinking I would be reading a simple book just to pass the time during a month of stress at the end of last year. What I got surprised me, as this book ended up being an absolutely riveting novel, one I found very moving and quite profound and heartbreaking. “She was fast asleep on the backseat of the bus. Curled up, thumb in mouth. Four, maybe five yeas old. And the novel begins. In December 1940, Ellen Parr finds a small girl left on a bus in the village of Upton. The bus is full of evacuees who have come from Southampton. Everyone has disembarked and no one knows who the girl is. Ellen picks up the child and carries her to the town hall. When it is clear that there is no parent with this child Ellen and Selwyn take her to their home, where they are already giving shelter to three other evacuated children. Ellen discovers a label with the name Pamela Pickering sewn into the child’s clothing. Attempts are made to locate the parents, and it is discovered that the child’s mother was killed in the bombing and the whereabouts of her father is unknown. Ellen Parr is now a lovely woman, but was once a girl who knew poverty and neglect. She has made a good life for herself, married to a man whom she loves and is loved in return. Children did not seem necessary. The evacuated children came but did not take root in Ellen’s heart as Pamela does. The love that grows between Ellen and Pamela is a wonderful thing and they are both made richer by it. They love each other, and need each other. Selwyn knows this is very likely to end in heartbreak but he cannot deny Ellen, and grows to love Pamela himself. This is a novel rich in detail of time and place, wartime England and the years beyond. We learn about the earlier lives of both Ellen and Selwyn and come to understand the strength of their marriage. We meet Ellen’s childhood, and life long friend, Lucy. The other people in Ellen’s life are fully realized and we come to see Ellen as they do, as she sees herself, and as Pamela sees her. Pamela, with Ellen for the rest of the war, becomes the centre of her life – then and forever. There were times I was reading through tears. We Must Be Brave is novel that I had expected to be simply another predictable wartime story but was so much more. This is a novel about caring friendship and loyalty, about love and marriage, about family. About loss, and about reconciliation, and if not peace, at least closure. It will be one of the best books you’ll read this year. Wish You Were Here is a book I have reularly recommended to customers since it was published in 2002. It was the first book by Stewart O’Nan about the Maxwell family. The third, Henry, Himself will be released this spring. The second, Emily, Alone, was published in 2011 and you will find a review I wrote that year on our website. After reading an advance copy of Henry, Himself I decided to re-read Wish You Were Here, and loved it all over again. After almost twenty years I found, of course, that I brought to this books a different reader. 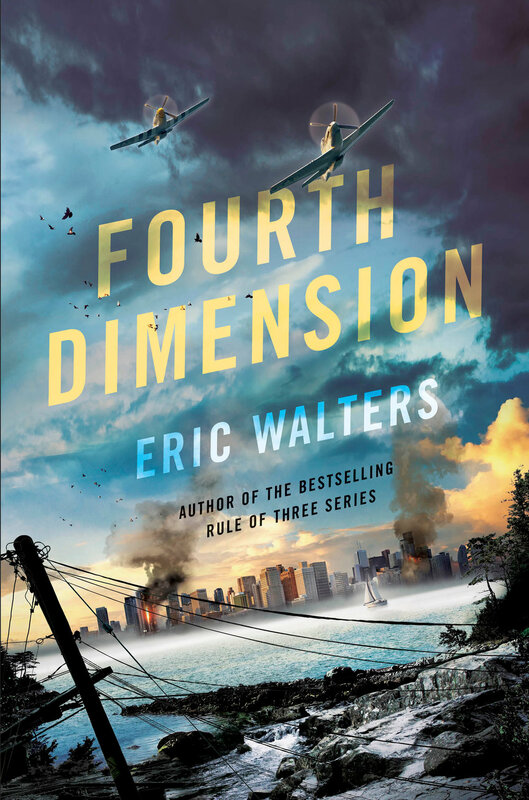 When I read this novel in 2002 I identified more with the middle aged adult children – this time I felt much more in common with the oldest generation of the Maxwell family, the widow, Emily, and her sister-in-law, Arlene. The family is meeting for one last time at their summer home, a cottage on Lake Chautauqua, a place they have been going all of their lives. But, Emily has decided to sell the cottage and has asked her children and grandchildren, and Arlene, to come for a week and take what they most value before the cottage is sold. The children are Margaret, “Meg”, mother of Sarah and Justin, and Kenneth, “Ken”, his wife Lise, and their children, Ella and Sam. Margaret is in the midst of a divorce from her husband and father of her children, Jeff. This is the first time Meg has been at the cottage without her husband. One first of many. Every member of this family is at place of change. Kenneth in his career, Margaret at the end of her marriage, the teenage girls growing into young women, the boys leaving young childhood behind, Arlene trying to find ways to fill her days now that she is retired, and Emily of course adjusting to life without Henry. Even Emily’s old dog, Rufus, who is nearing the end of his life, senses change. Every one of them would like to keep this cottage, keep this place in their lives, but Emily does not want the worry and her children cannot afford to look after it for her. It is with profound regret but also some relief to say goodbye. They pack a lot into a week, and we share it all. When all is done, everything said that could be said, they disburse. Emily comes home to Pittsburgh, to the house where she and Henry raised their family, “Back to Reality” she says to herself and Rufus. 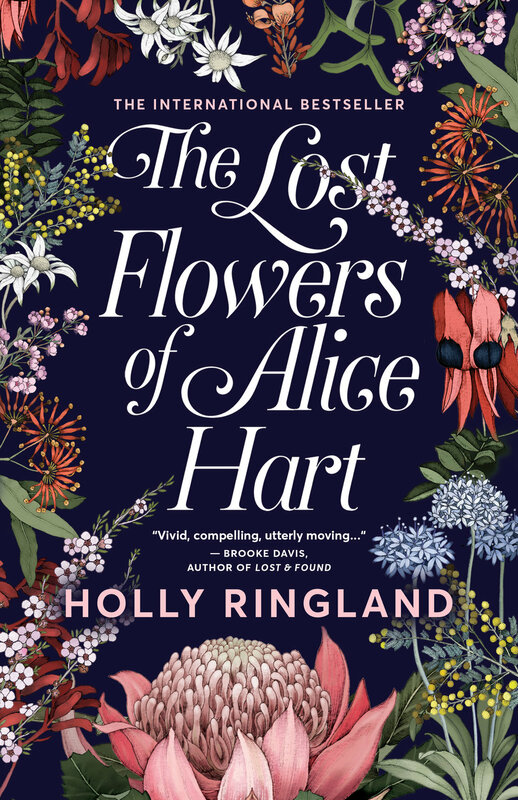 The Lost Flowers of Alice Hart is a first novel by Holly Ringland, is the story of Alice and her journey through time, and one I know I can recommend without reservation. We meet Alice first when she is a young girl, daughter of Clem and Agnes Hart, living on an isolated farm in Australia. Clem is an abusive man and both Alice and Agnes experience the brutality of his anger. This part of the story was tough to read but necessary to understand the rest. Agnes teaches Alice the language of flowers, and each chapter begins with information about native Australian flowers and their meaning and description. Agnes also reads to Alice and instills in her a love of books, and the escape reading, especially fairy tales, provides from the harsh reality of their lives. When tragedy strikes Alice is only nine years old, and she is given into the care of her paternal grandmother, June. June has her own demons and takes on this responsibility with some reluctance. But, she comes to love Alice and does all she can to protect her, though by hiding from Alice secrets that might best have been revealed, she does harm. June owns a flower farm, Thornfield, a sort of retreat and place of safety for women who have lived with domestic violence or have a need to withdraw from the world. Here June will do all in her power to keep Alice safe. For June it is a second chance to raise a child, to attempt to make amends for the damage her son inflicted on Agnes and Alice. This world of women is a good place to raise a child, and there is comfort and constancy in the gardens. But, sometimes history has a way of repeating itself, and as June sees Alice mature into a young woman, infatuated – perhaps in love – with a young man she considers unsuitable, she steps in and ends the relationship. June’s second serious act of deception. Though June would keep Alice on the farm forever, the choice to leave is made by Alice alone. She flees to a remote town in the outback and begins, on her own, to make a life for herself. For the first time in her life, now in her twenties, she is making her own decisions; she finds work, she finds friendship – and she may have found love. But, once again, life becomes almost unbearably hard, and hard to read about, before Alice sees that only she can make a change that will allow her to be free of the past, and make a better future for herself. I loved this book, the setting and the characters, and the writing, and anyone who has an interest in plants and gardening will especially appreciate the botanical content of The Lost Flowers of Alice Hart.